If there was a moment he was born to, this was it. If there was a moment that he had bounced around for, going from the Victoriaville Tigers to the Worcester Sharks to the San Francisco Bulls to the Kalamazoo Wings, it was this one. For a lifetime — if 25 years constitutes a lifetime – Yanni Gourde has chased one puck or the other down the ice. Through all the jerseys and all the arenas and all of the shifts, he has skittered across the ice changing the minds of those who thought he was too small. And finally, the puck was on his stick, and the game was dying, and he was in the open ice. And the Tampa Bay Lightning live on. 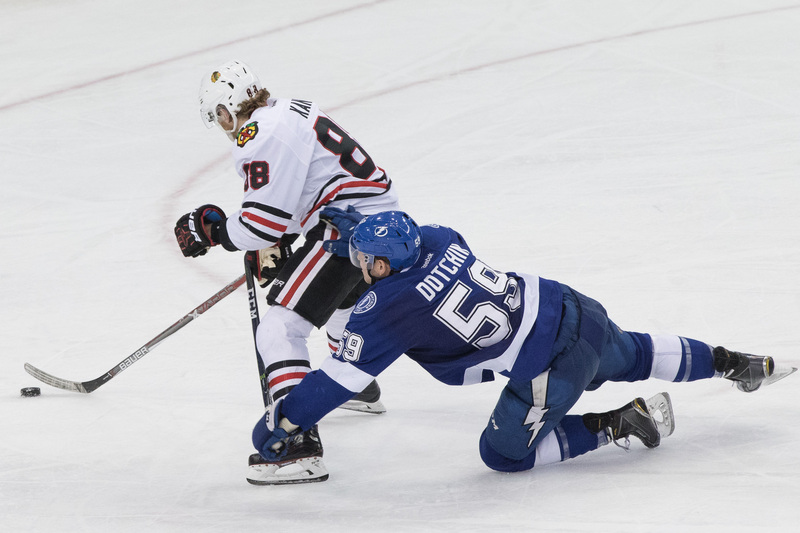 Gourde scored with 35 seconds to go in overtime Monday night, lifting the Lightning to perhaps its biggest win of the season, 5-4 over Chicago. 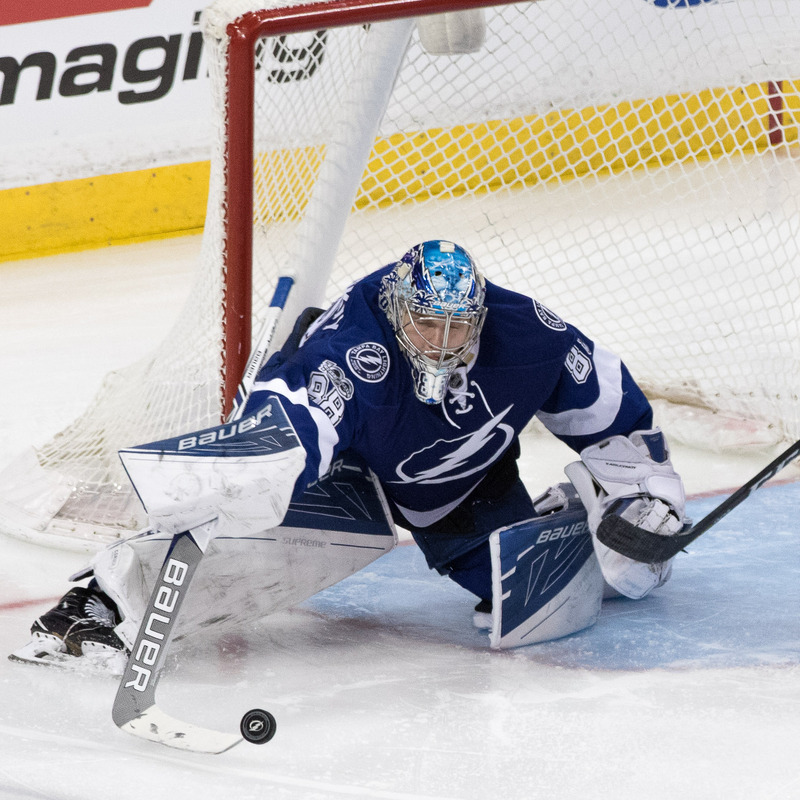 The Lightning trailed 4-1 in this one, against a fine Blackhawks team, and somehow, they pulled it out. They pulled within one point of the final wild card berth, and within two of third place in the Atlantic Division. It was one of those amazing moments that you get in sports, a kid who shouldn't be here standing among the best players in the game. When Gourde is 90, he'll remember this moment. It was his second NHL goal, but it was a huge one. 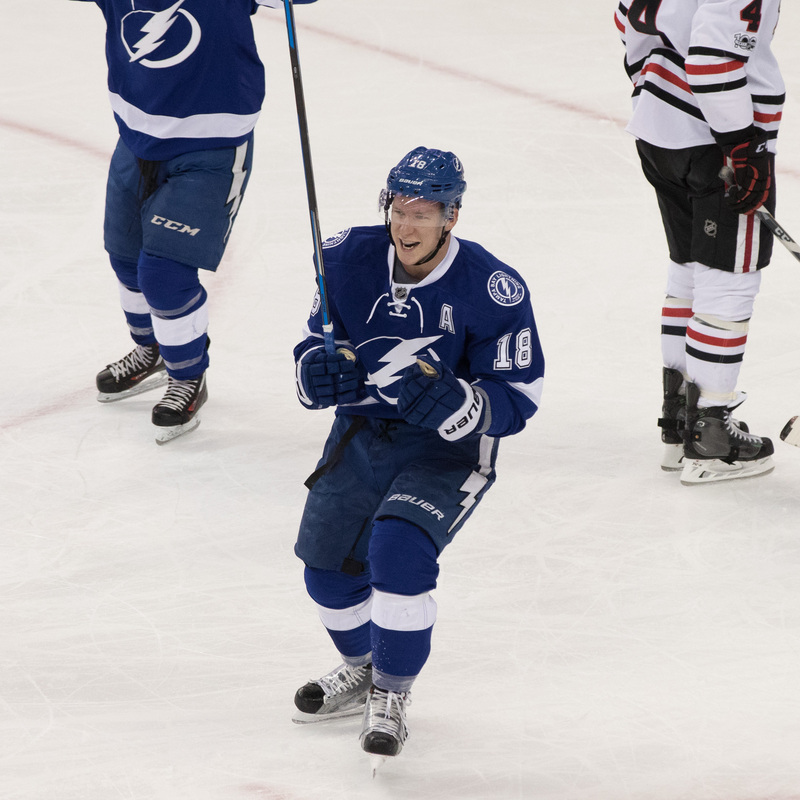 Of the last six games they have won, the Bolts have come from behind in five of them. Yeah, that's resiliency. Yeah, you can tell Gourde about it. 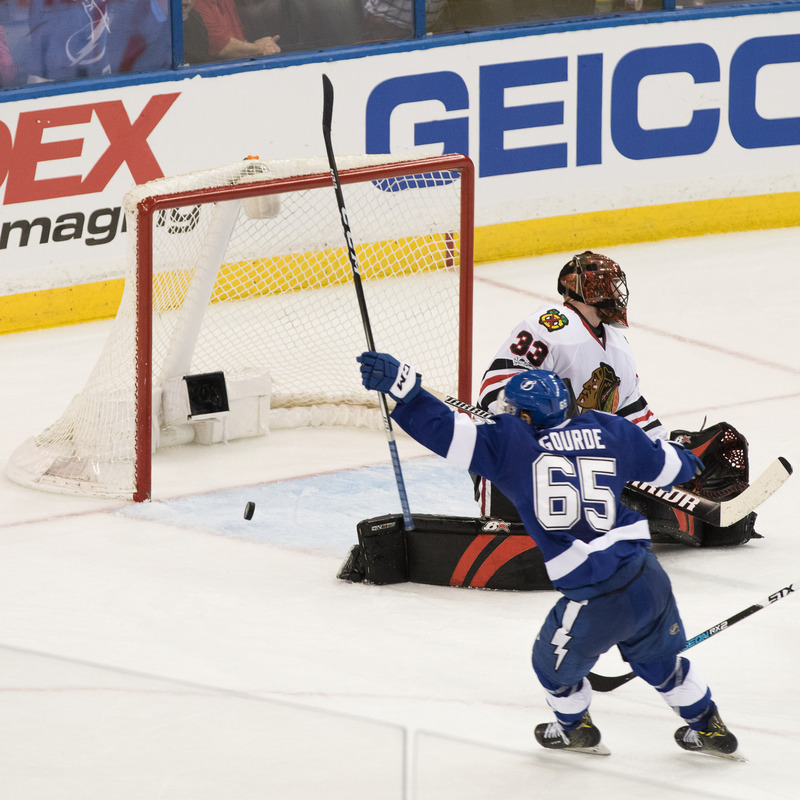 “It’s a pretty amazing moment,” Gourde said. “I’ve worked very hard to be here. I’ve worked since a long time ago. Obviously, I was in the (ECHL) at a moment in my career. It’s very special to be here tonight and be playing along these guys. It’s a pretty amazing feeling. 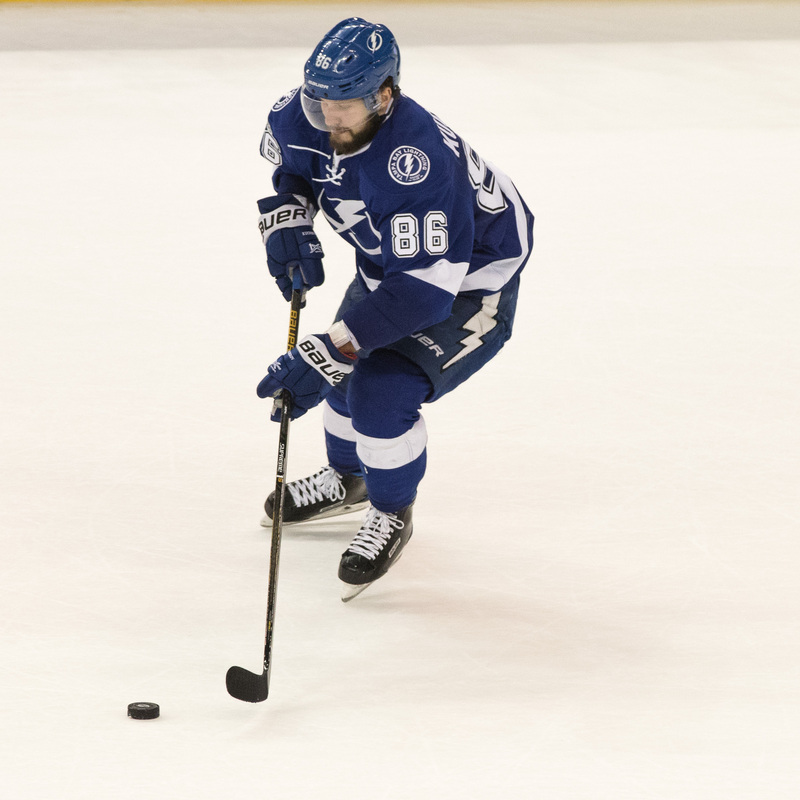 The Bolts have turned into a no-retreat, no-surrender hockey team as of late. They win in the final reel. If the Bolts sneak into the post-season, this will be the game they talk about. About how Jonathan Drouin scored twice. About how Cooper pulled Vasilevskiy, then put him back into the game. About the comeback. Of all the goals, however, who would have thought that Gourde would get the big one. Gourde is playing for the Lightning, of course, because of all the injuries the team has had. But the way he looks, he might just stick. Previous post: Would another losing season doom Cash?